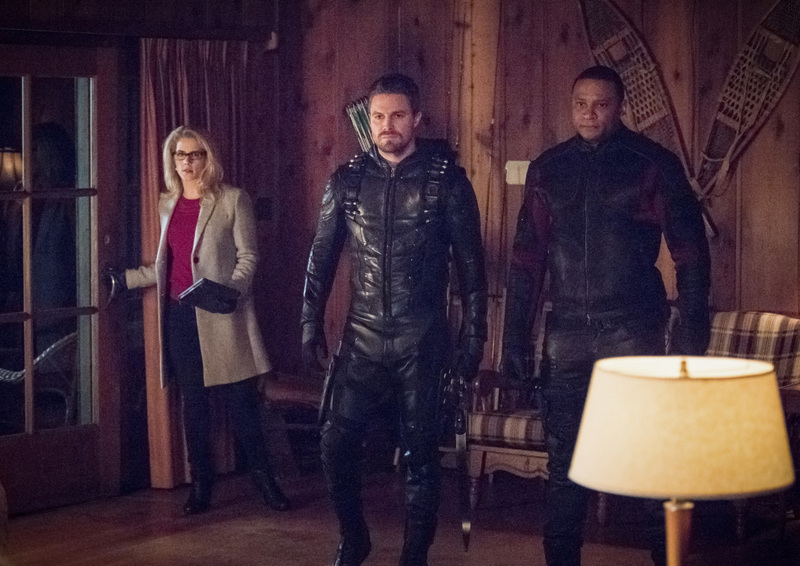 Arrow -- "Collision Course" -- Image Number: ARR614a_0079.jpg -- Pictured (L-R): Emily Bett Rickards as Felicity Smoak, Stephen Amell as Oliver Queen/Green Arrow and David Ramsey as John Diggle/Spartan -- Photo: Dean Buscher/The CW -- ÃÂ© 2018 The CW Network, LLC. All rights reserved. 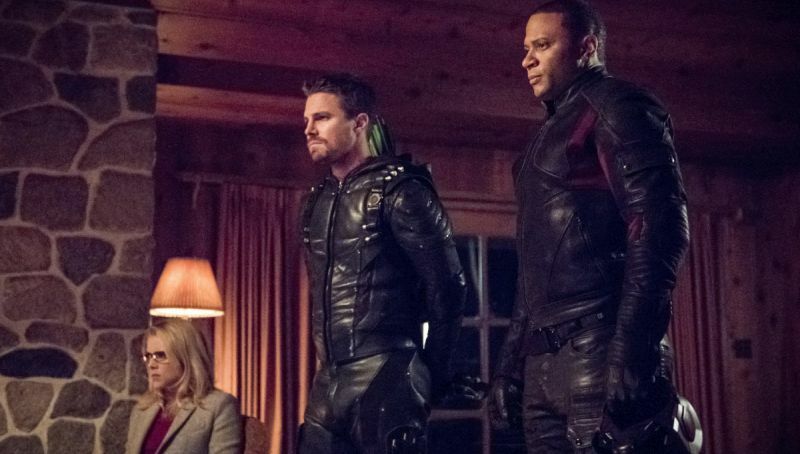 Ahead of tonight’s all-new episode, The CW has released the promo photos for the next episode of Arrow, which you can check out in the gallery below. The all-new episode, titled “Collision Course,” won’t air for three weeks as the series takes a brief hiatus. No official synopsis has been revealed for the episode as of yet.